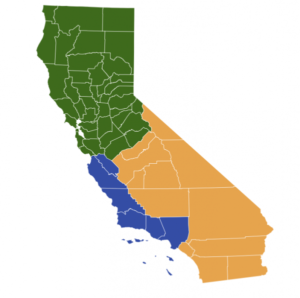 Tim Draper’s “Division of California into Three States” initiative called for diving California into the new states of “California,” “Northern California” and “Southern California.” Under the proposal, San Luis Obispo County would join Los Angeles in a coastal cluster of six counties that would make up the new California. The initiative qualified for the November ballot, but last month, the state Supreme Court pulled the measure, citing questions about its validity and the potential for harm it could cause. The court ordered there be legal arguments over whether the initiative could appear on a future ballot and gave Draper 30 days to respond. Draper responded in a letter to the court saying he wanted the initiative on this year’s ballot, not another year’s ballot. The billionaire investor had argued California has become nearly ungovernable and that numerous regions of the state are inadequately represented in Sacramento. Draper argued citizens would be better served by three smaller stage governments while preserving existing city and county boundaries. Under his proposal, the state of Northern California would contain 40 counties, including those in the Sacramento and Bay areas. Southern California would consist of 12 counties, including San Diego and Orange counties, the Inland Empire and much of the Central Valley. Draper previously pushed an initiative to split California into six states, which did not qualify for the ballot. Even if Draper’s three Californias measure were to pass, it would require congressional approval to implement. Good. Why exactly would more government be better? When you consider a Senator in Idaho represents a population of just over a million people and our Senators represent approximately 36 million people something is out of whack. I’ll take 6 pro-choice senators representing “west coast” interests any day. A lot of the culture wars would come to a quick end. Idaho, Montana, both Dakotas, and toss in Nebraska have combined population that is less than the “Northern California’ proposed state. I pass by more people in 20 minutes on the hwy in bay area than you find in most of these states. Yet it is their Senators that block most efforts to move the country forward. We pay more than those states in Federal taxes and receive far less in return. Break it up. There’s a great big portion of the US that would be opposed to CA having any more representation if it’s anything like what we have now. Travel outside CA, we’re not well liked. If you are using geography as your basis for your big portions the “US” statement then you would be correct. If you are talking —1 citizen -1 vote (equally proportioned) then you would not be correct when considering 3 million more votes were cast for Democratic candidates—president and congressional than for Republicans in the last election. Who cares what other people think in red states. They get their vote we gets ours. They should count equally. Either you’re for a representative government or you are not. Arguing for a “disproportionate” governance is really an not American thing. That lasted longer than I thought it would.